The testo Saveris U1 E Ethernet probe / analog coupler allows the inclusion of other measurement parameters in the testo Saveris monitoring system, by integrating all transmitters with standardised current/voltage interfaces (e.g. 4 to 20 mA or 0 to 10 V). This is the solution for highest accuracy, for special applications (high humidity, trace humidity, etc.) in compressed air, drying and air conditioning technology as well as in cleanroom applications. The Ethernet probe / analog coupler has a data memory for 6,000 readings. This instrument requires a power supply unit (not included). 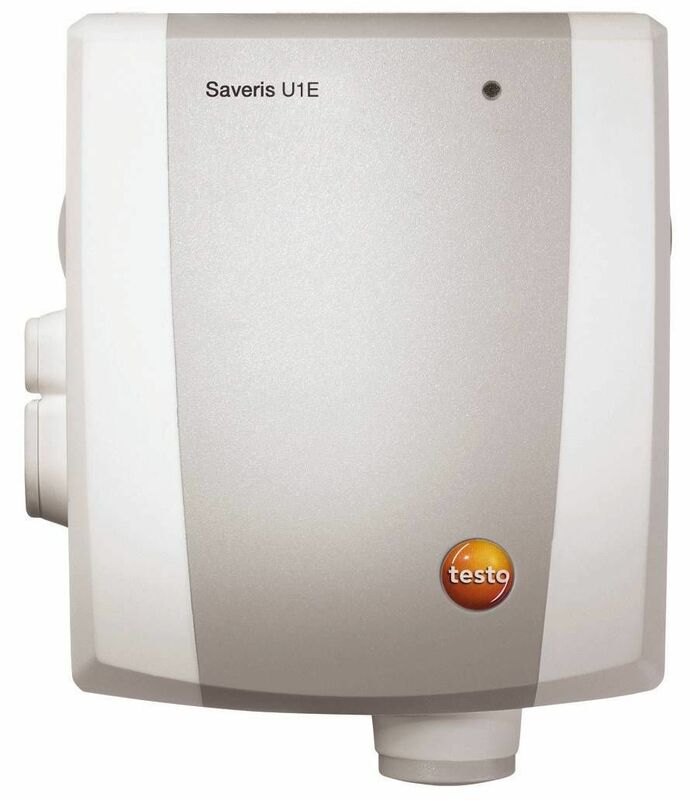 testo Saveris U1 E Ethernet probe with a current/voltage input.